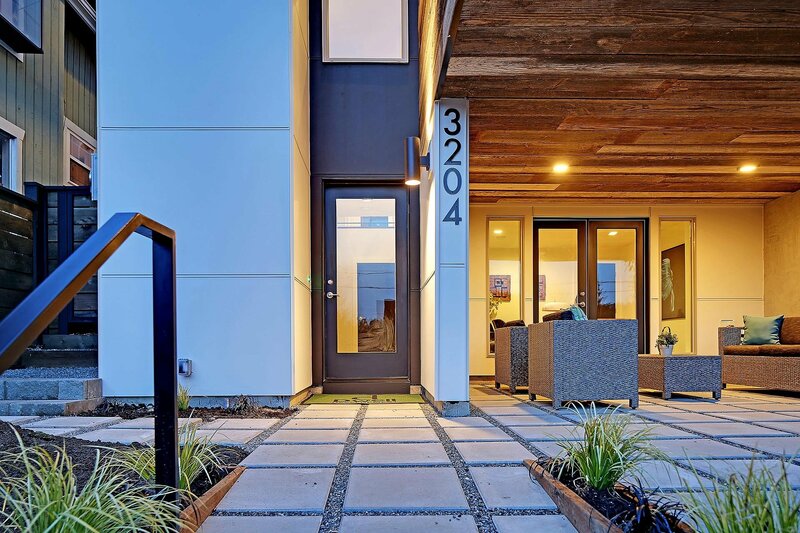 Located west of Hunter Blvd and the Mount Baker neighborhood retail district, this project is a partnership with Dwell Development. 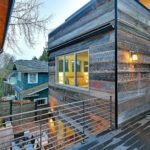 The modern Built Green Certified home is perched off a quiet residential street and designed to capture views and natural light. 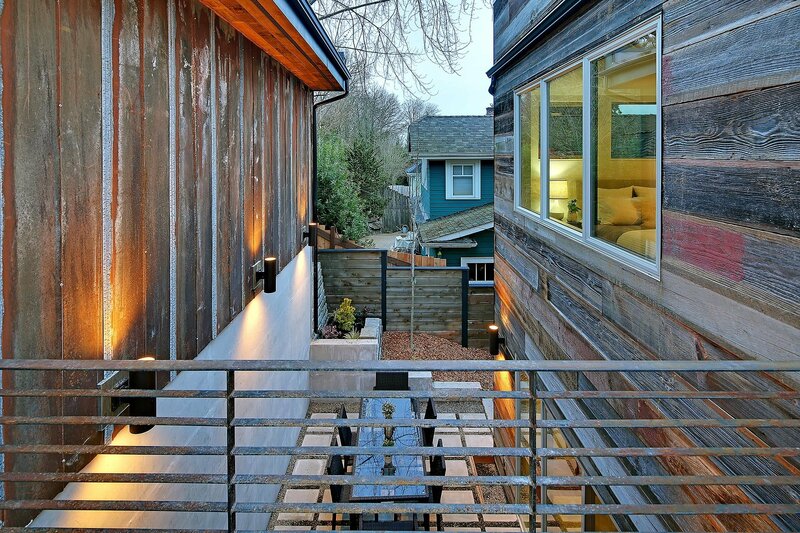 The 40’ x 100’ site offered a 20’ grade change from the street below to the alley above. 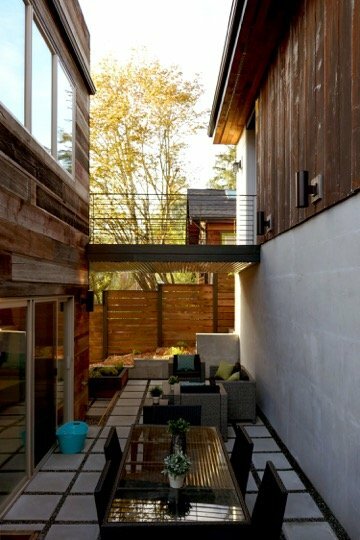 Highlighting the natural topography, the section of the home became an integral factor in the development of the plan. 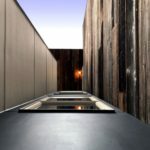 The house is a series of spaces that slowly unveil themselves. 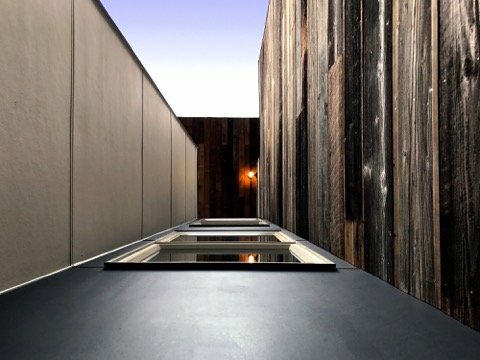 Exterior courtyards and interior spaces weave together and constantly blur the relationship between inside and out. 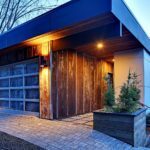 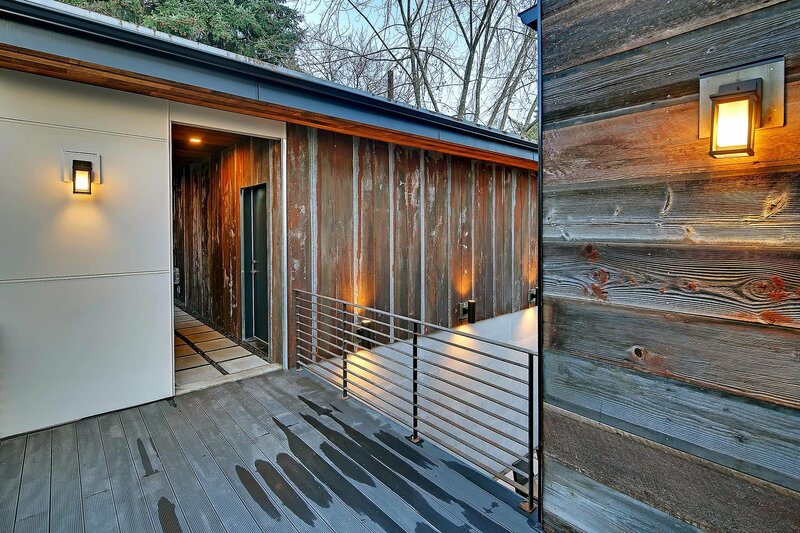 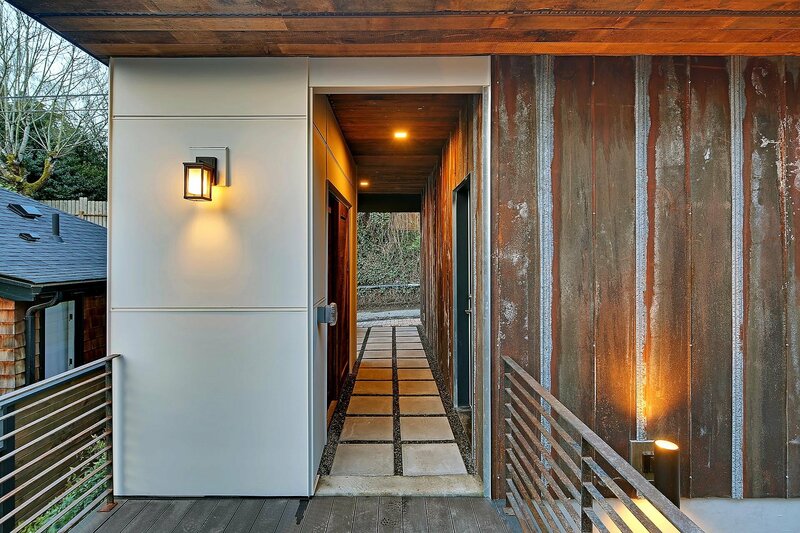 There is convenient alley access to a detached 2-car garage. 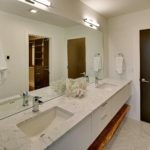 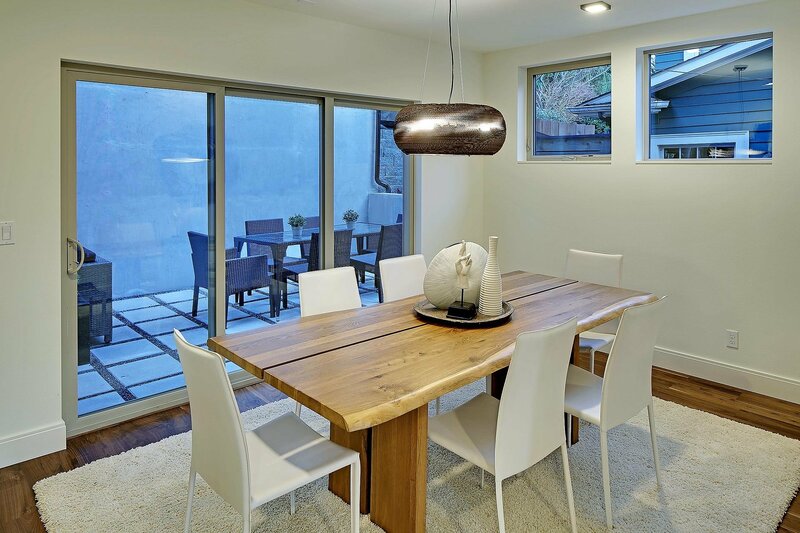 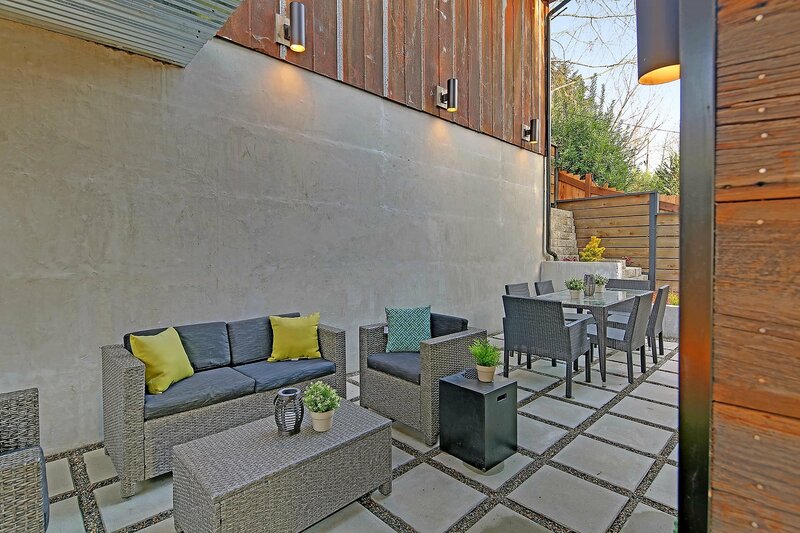 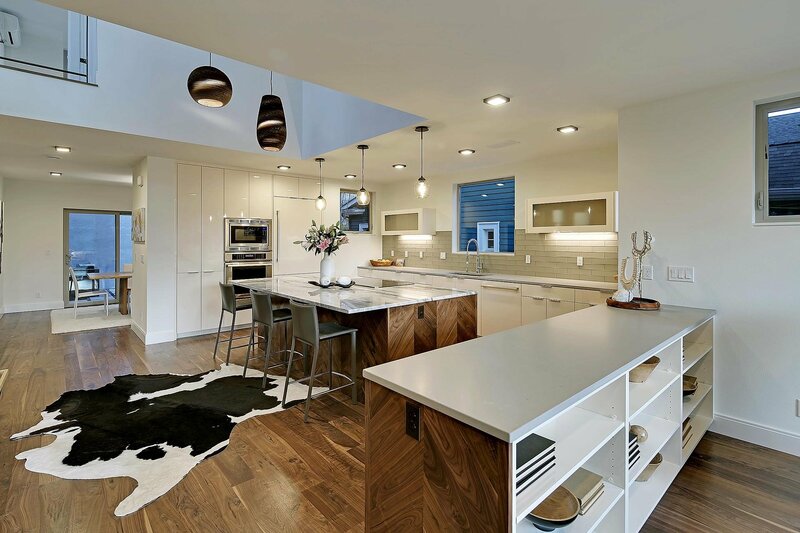 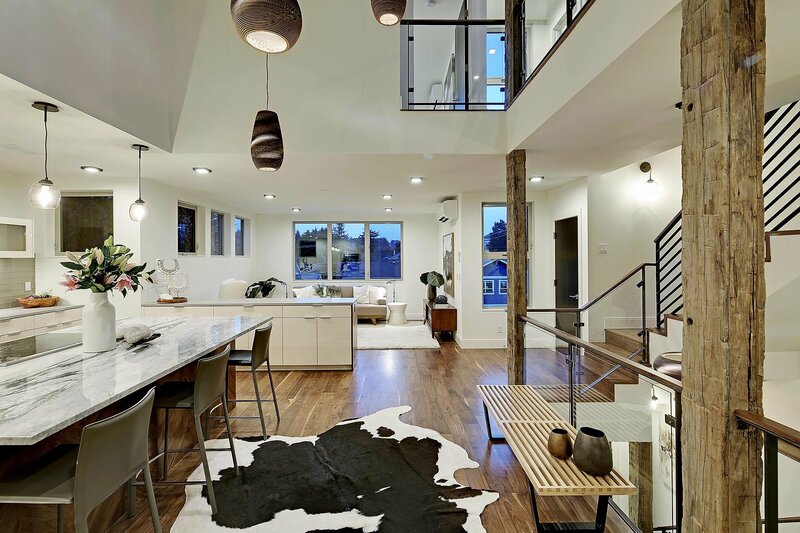 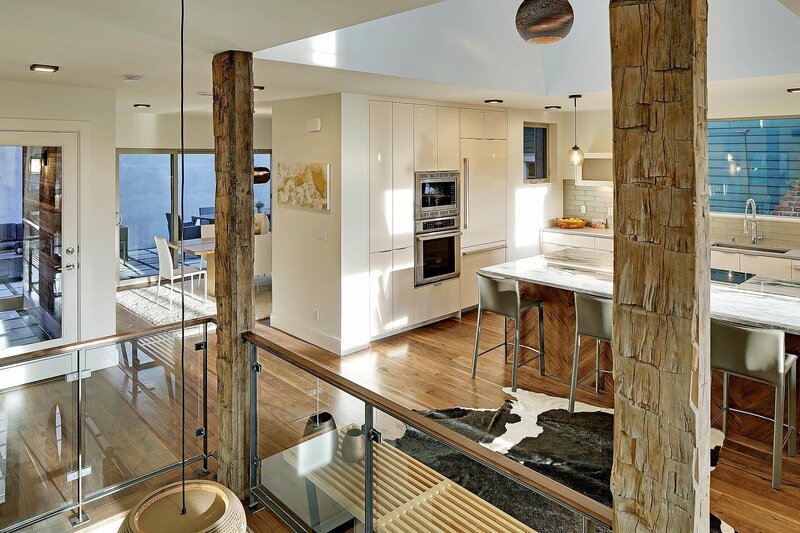 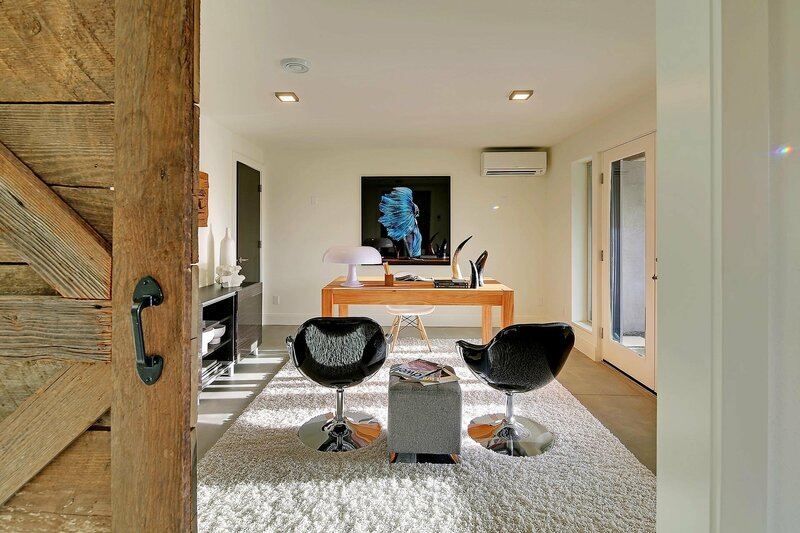 The open concept is enviro and energy efficient, with ready to go Net Zero systems. 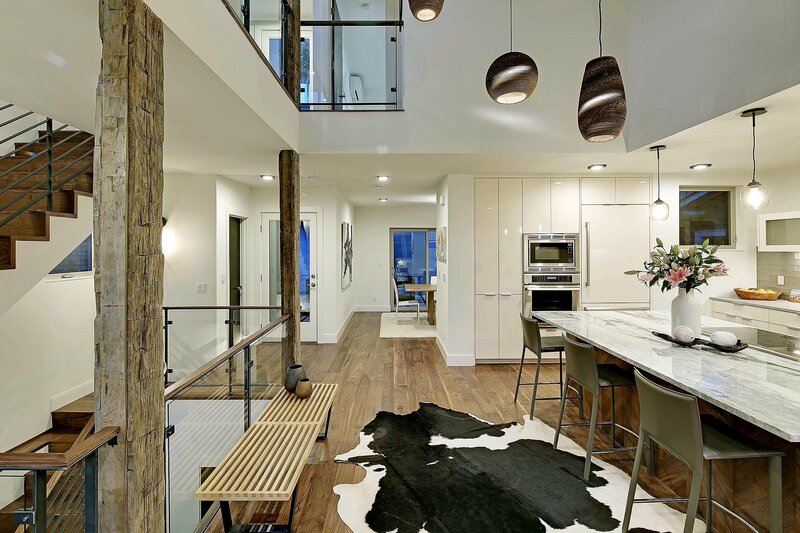 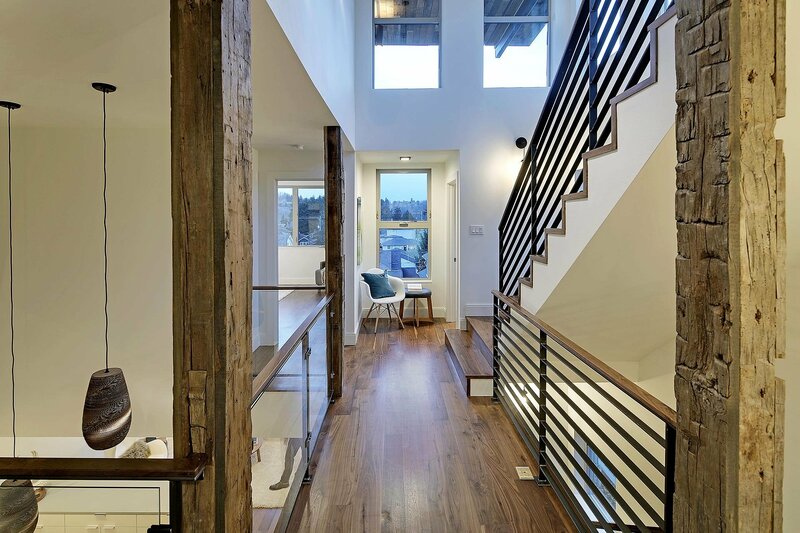 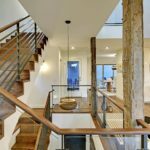 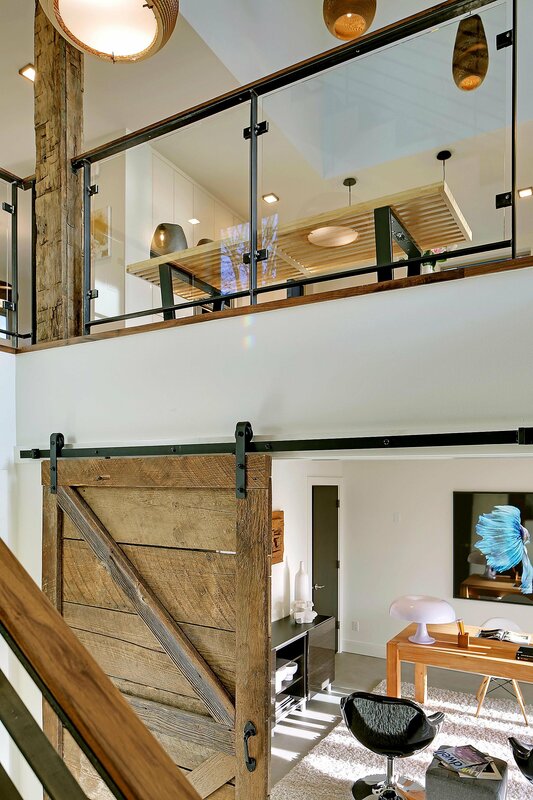 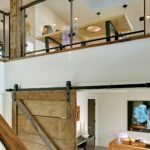 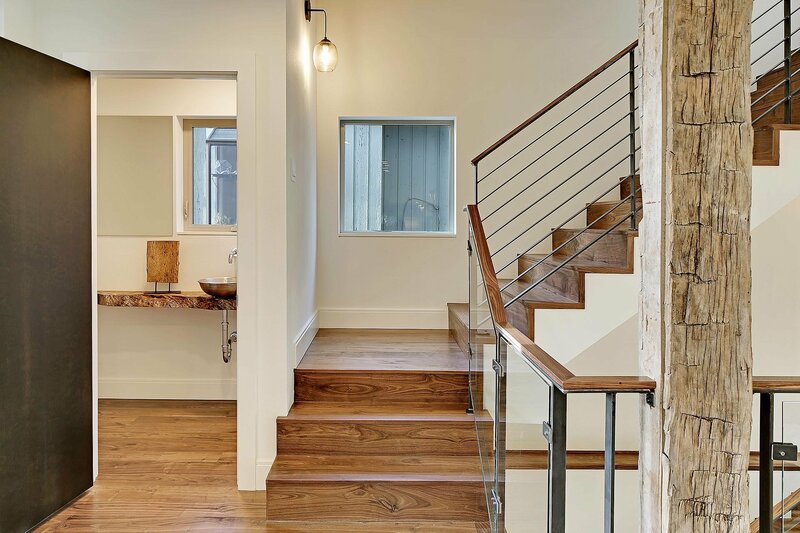 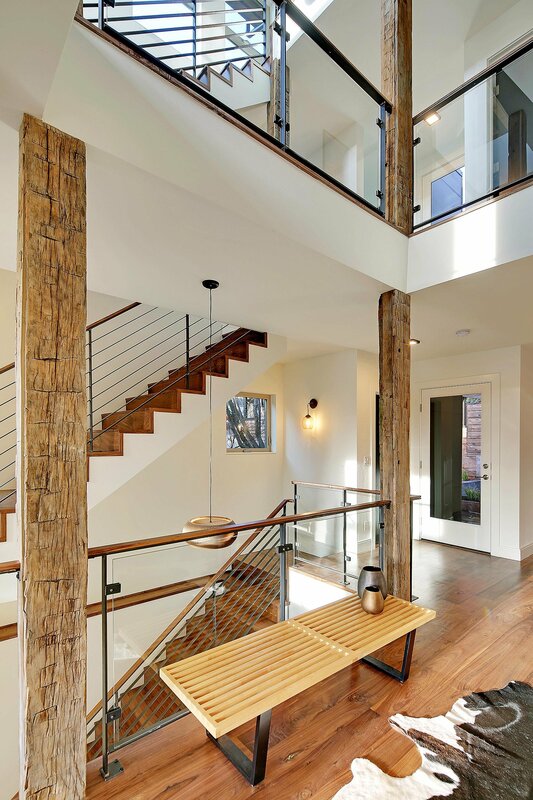 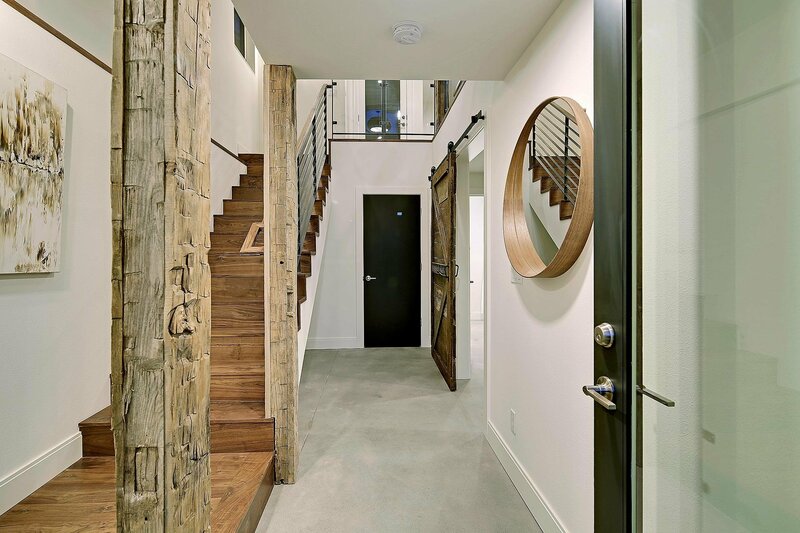 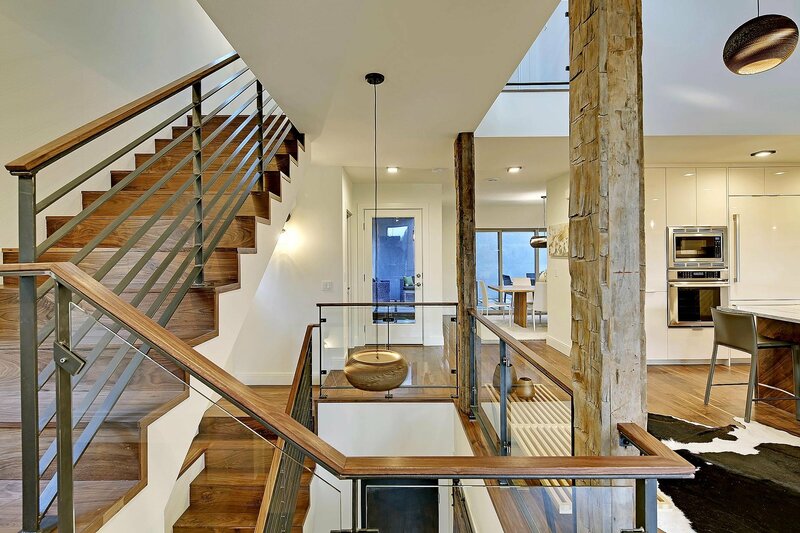 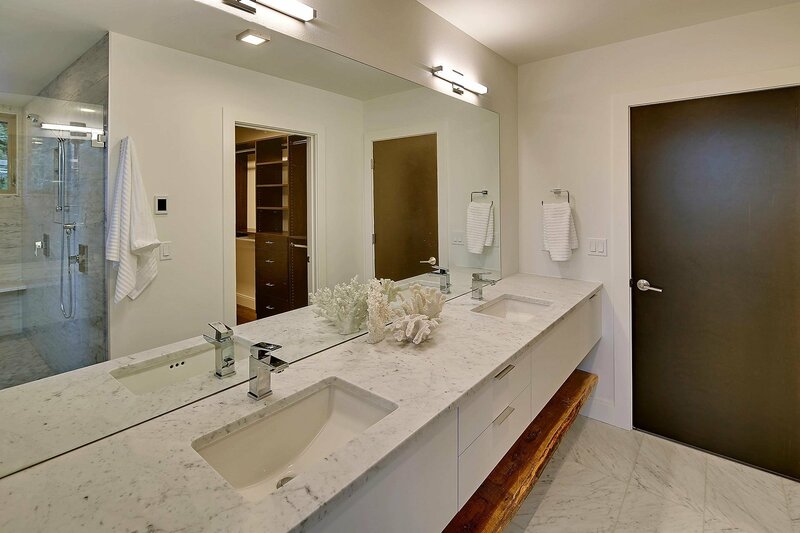 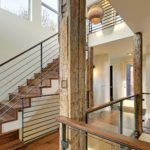 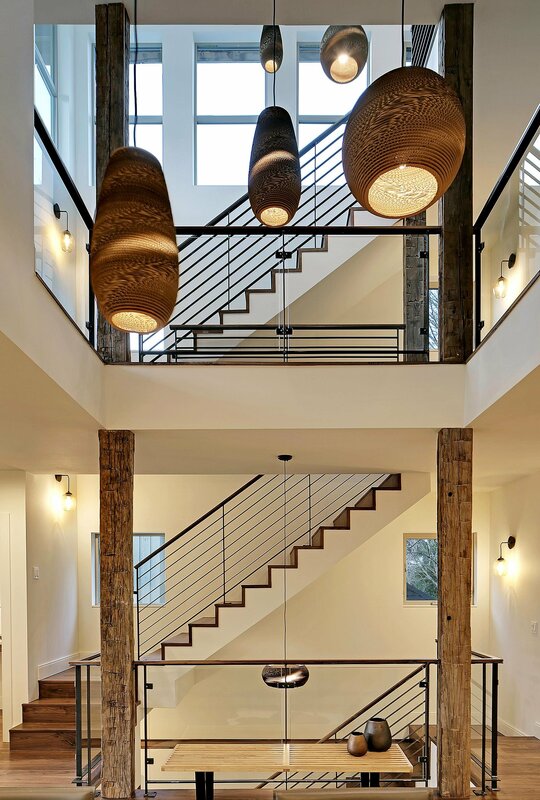 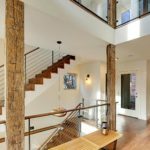 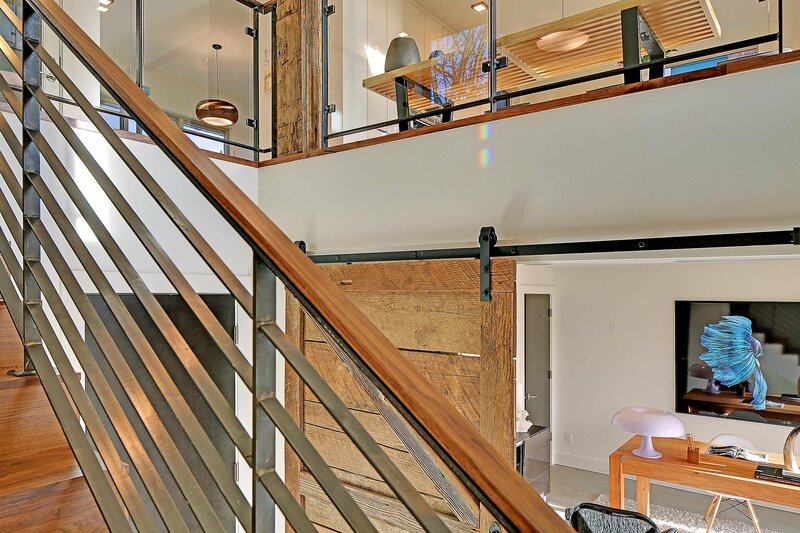 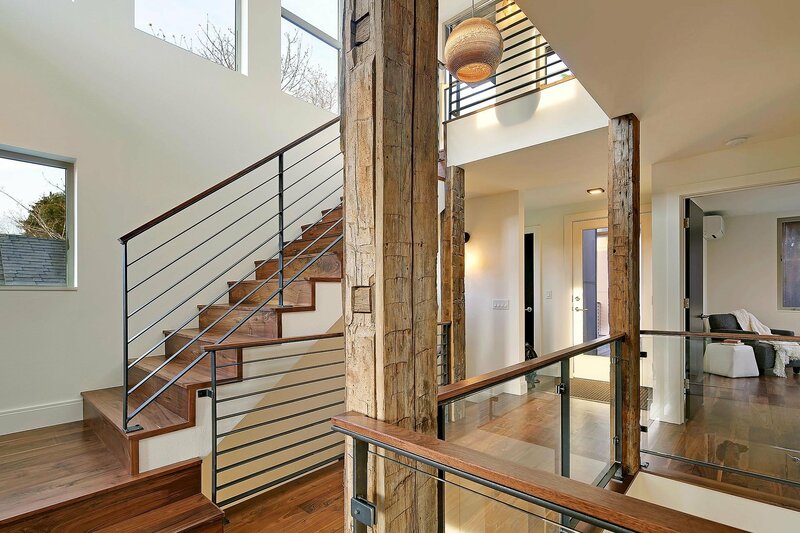 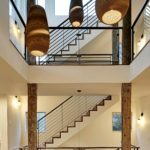 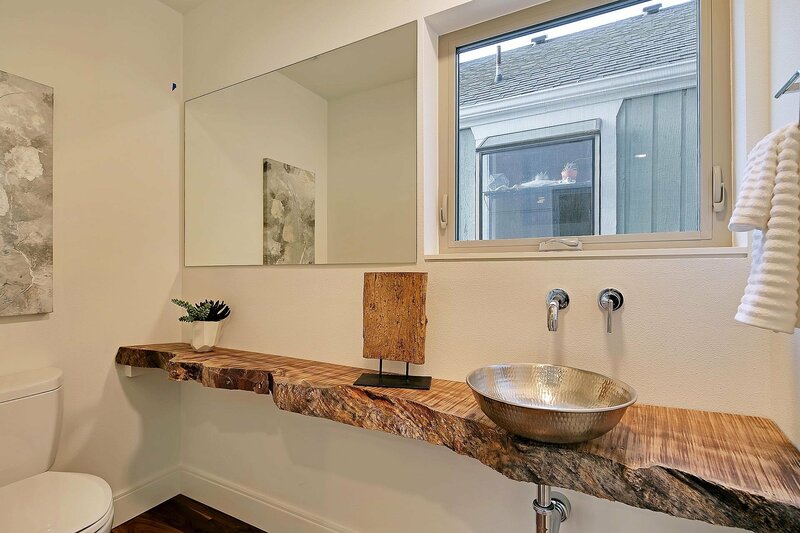 Organic materials include Black Walnut, Calcutta marble and hand hewn beams. 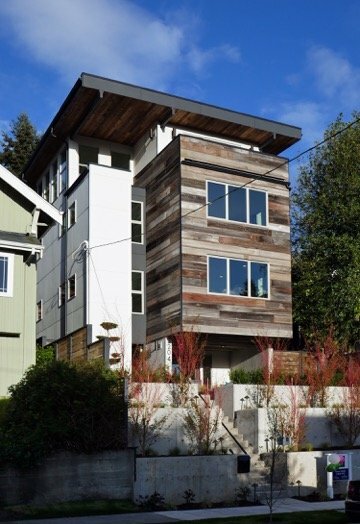 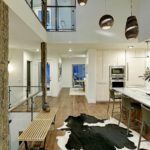 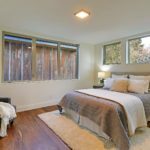 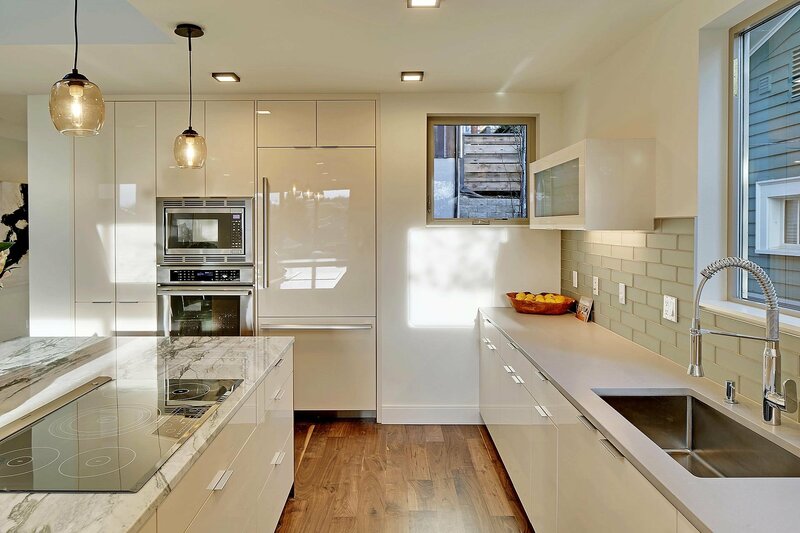 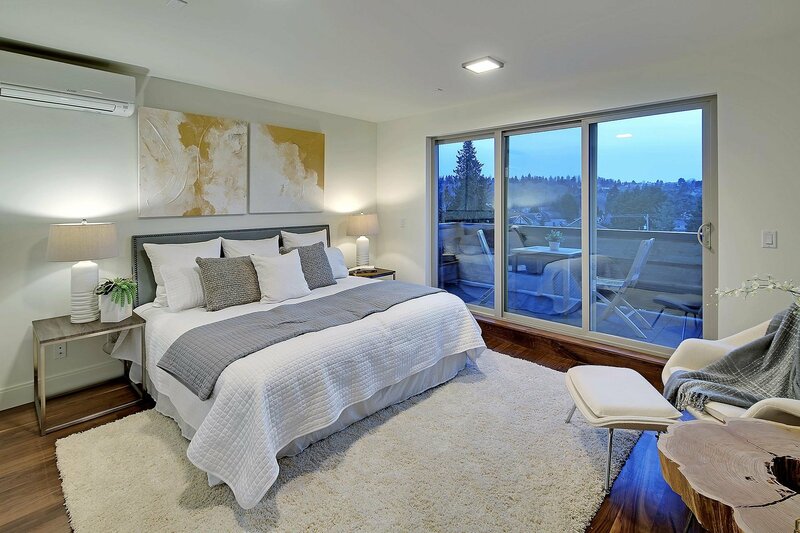 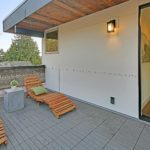 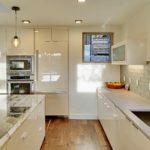 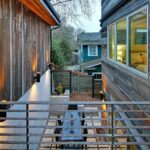 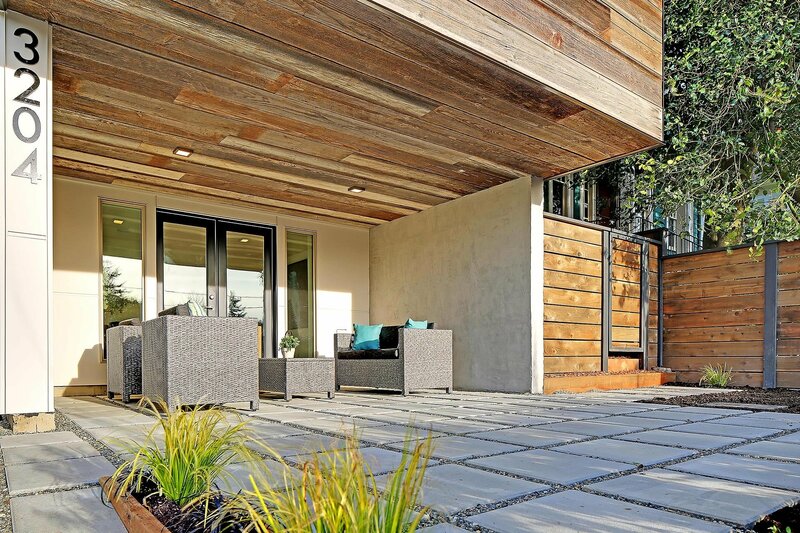 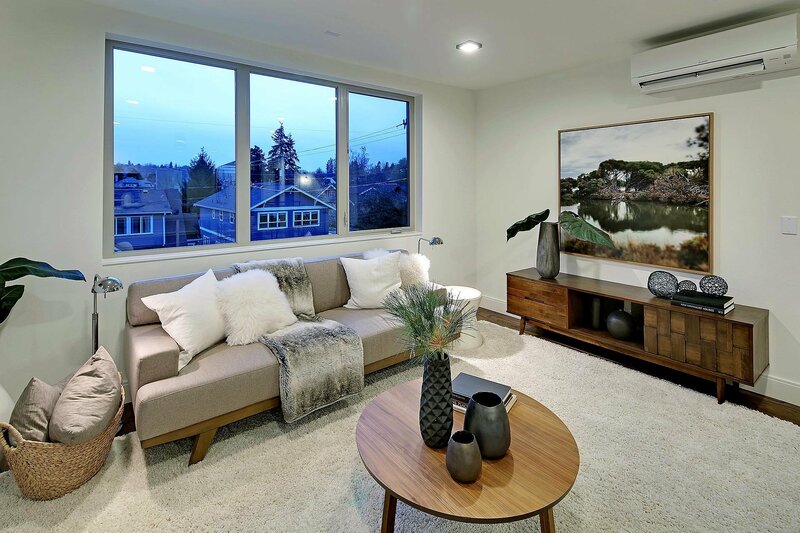 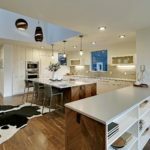 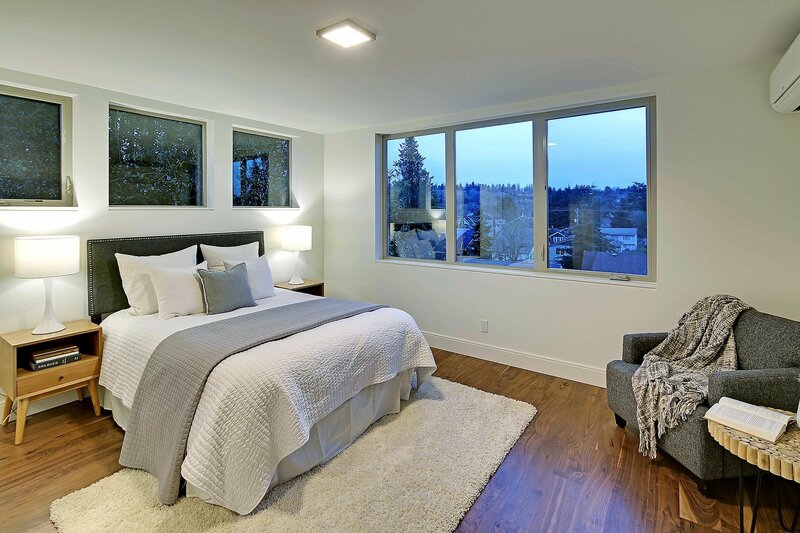 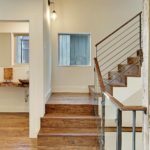 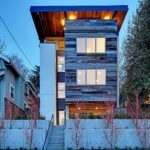 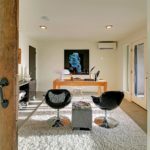 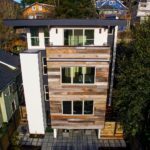 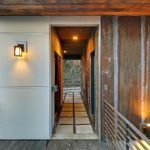 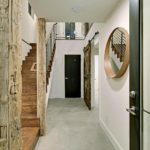 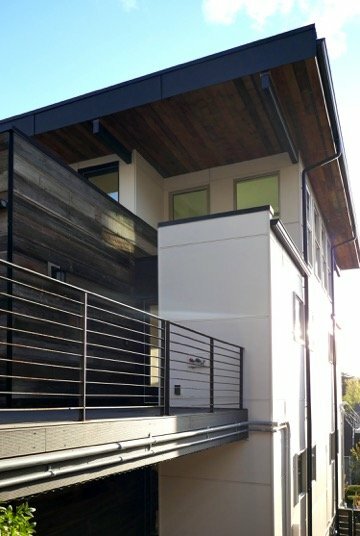 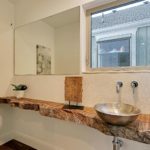 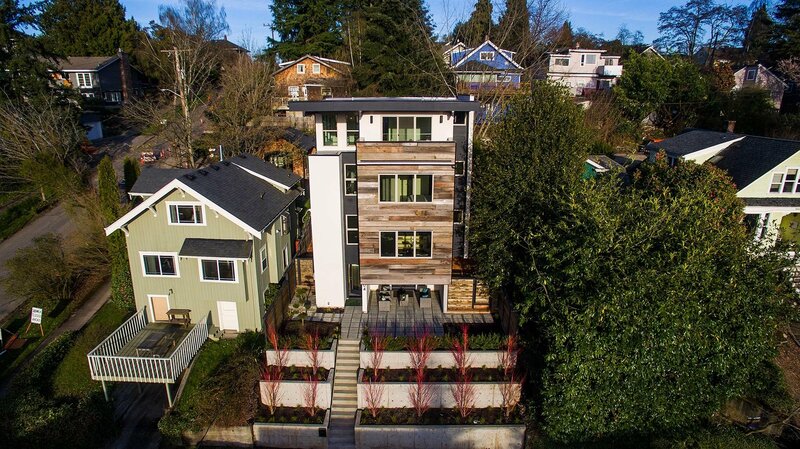 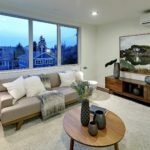 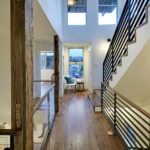 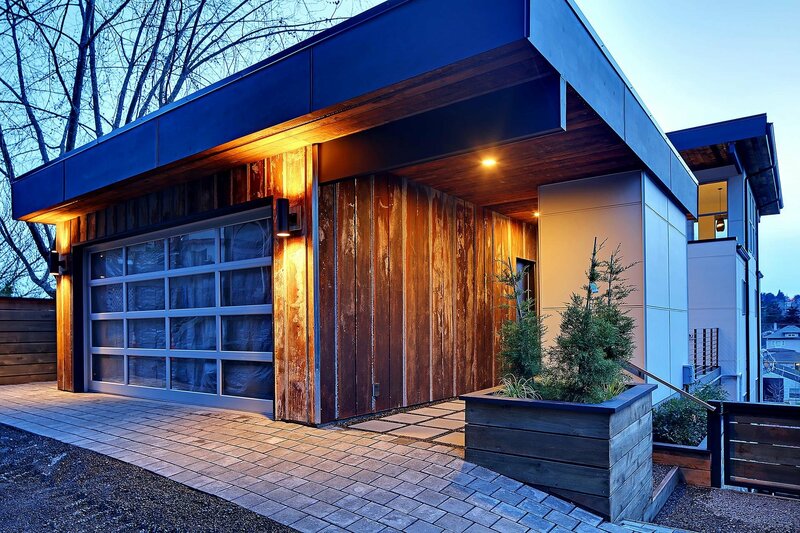 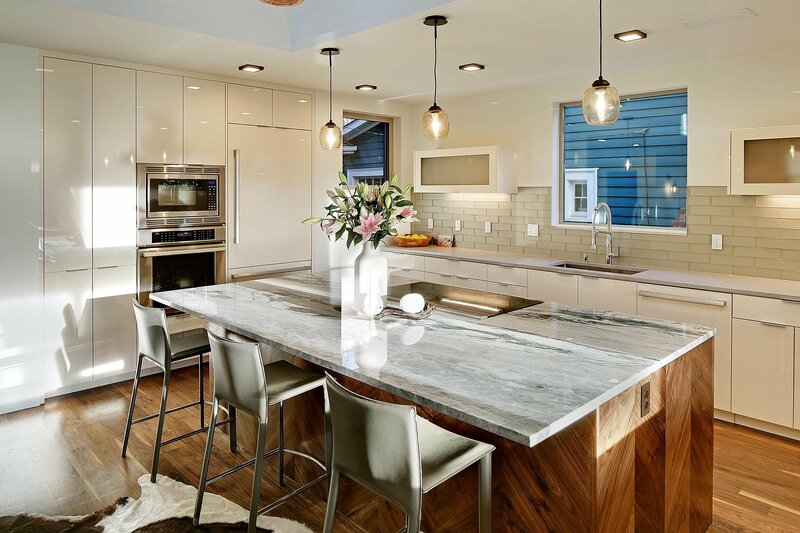 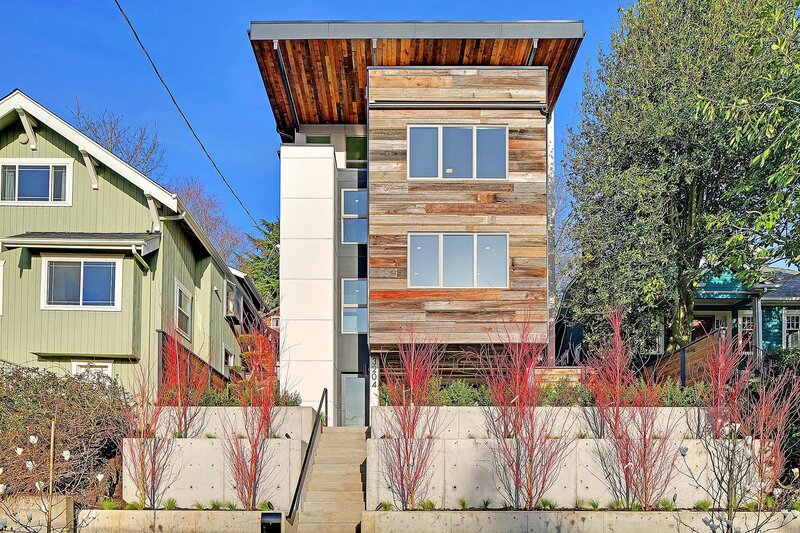 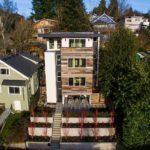 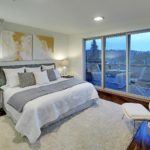 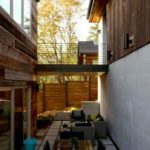 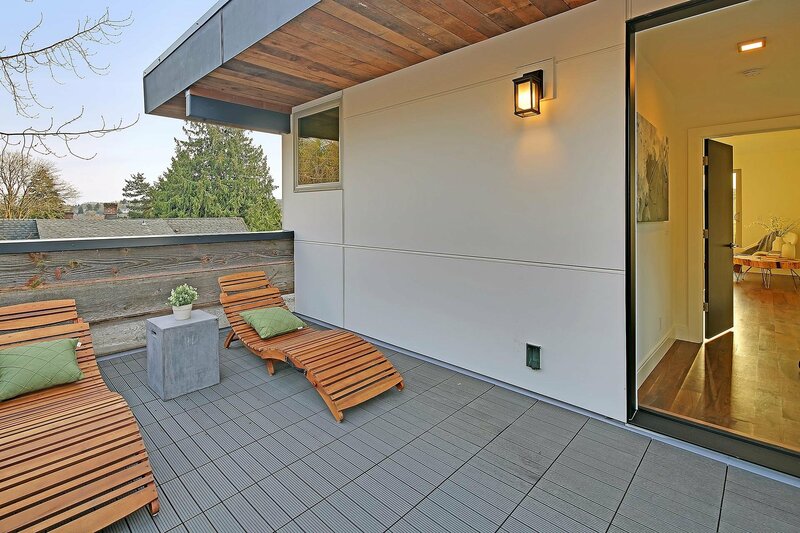 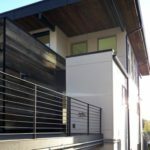 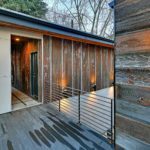 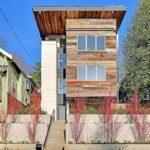 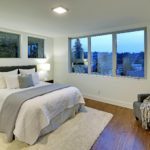 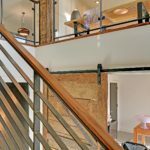 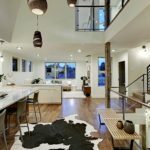 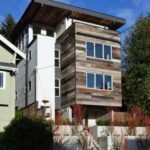 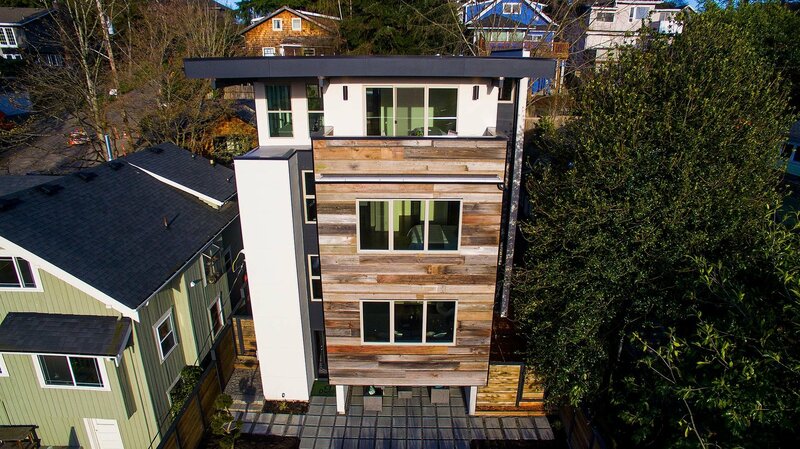 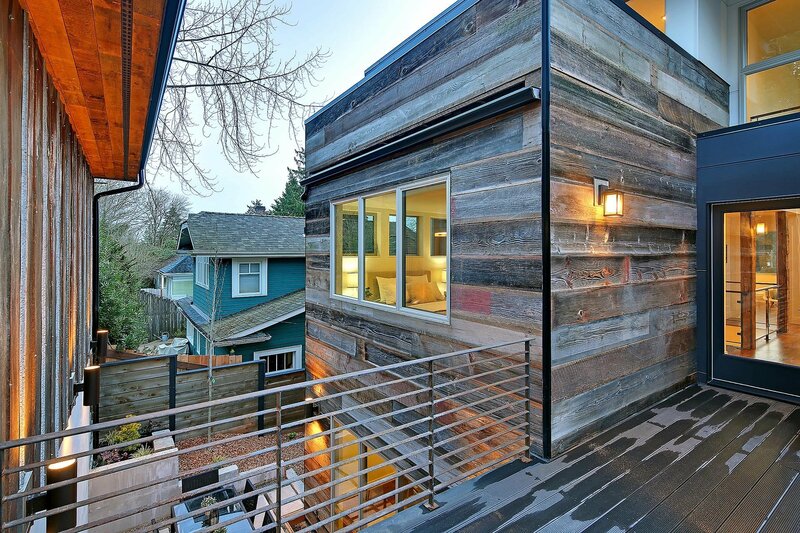 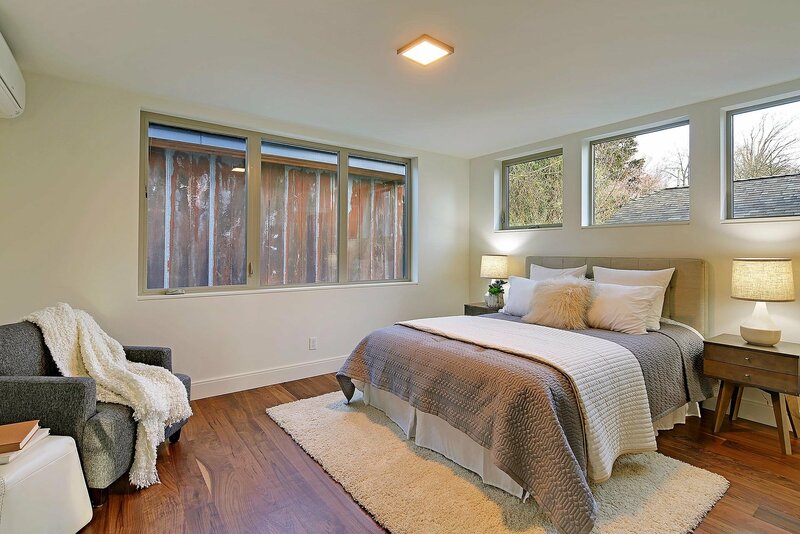 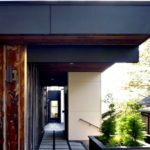 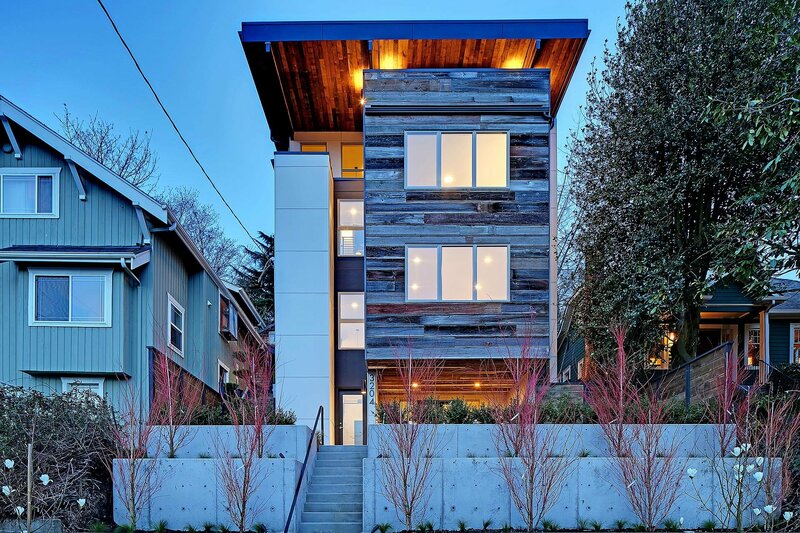 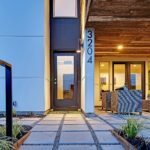 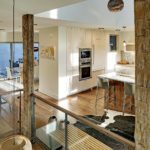 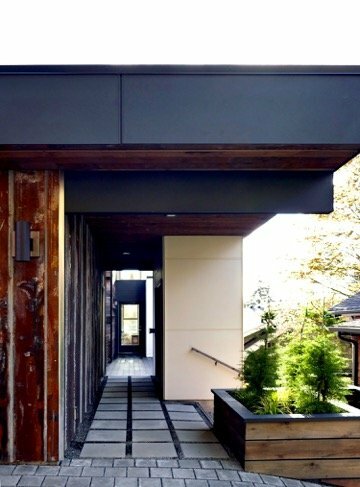 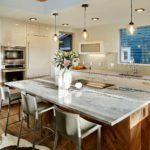 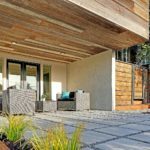 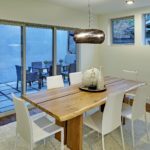 This home was selected as a participant for the 2017 Seattle Modern Home Tour.